10 Pack. Besides doing a great job at keeping your tent where you put it, these heavy-duty pegs have multiple uses around home and ranch, too: anchor canopies, gazebos and other temporary shelters, as landscaping stakes and just about anything else you want to stay put on the ground. 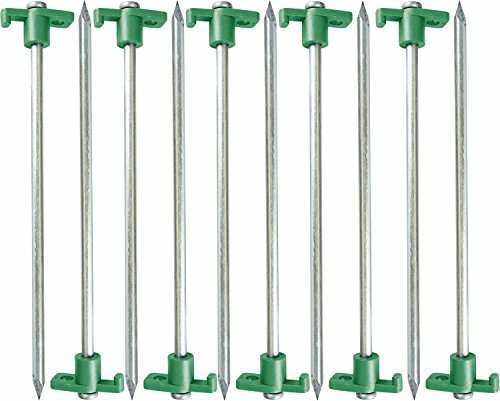 Heavy-duty 8mm galvanized steel pegs with thermoplastic T-Top. Color of T-top may vary from item pictured. Removable T-top with rope hole allows anchoring & tying versatility. Set weight 3 lb; color of T-top may vary from item pictured. If you have any questions about this product by Army, contact us by completing and submitting the form below. If you are looking for a specif part number, please include it with your message.